In July 1980, when Mike Clark joined Chris Seagar, he doubled the size of the valuation team. He completed the Diploma in Valuation at Auckland University in 1981, was registered as a valuer in 1982 and admitted as an Associate in 1984. Mike became a partner in Seagar and Partners in 1986 and has, for over 30 years, been involved in various specialist property types such as service stations, hotels, motels, shopping centres, motor vehicle dealerships and supermarkets. Much of this work is carried out on a nationwide basis while in addition he is involved with general commercial and industrial work in the Auckland area. He is a past Chairman of the Auckland Branch of the Institute of Valuers, gaining his Fellowship of the Institute in 1996, and Fellowship of the Property Institute in 2005. 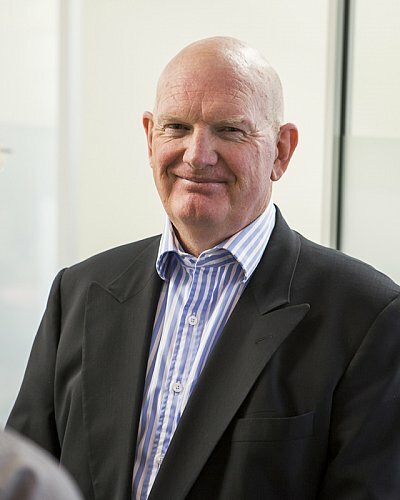 Mike is also a former Councillor on the New Zealand Institute of Valuers Council, and subsequently served as National Membership Convenor for the Property Institute of New Zealand. Furthermore Mike is an experienced arbitrator and expert witness. He is one of the resident Directors in the Auckland South office at Botany. Outside of work, he is involved – at various degrees – in historic motor racing including as a driver, author, speaker and commentator. He is also an avid rugby and cricket enthusiast. Mike and his wife Sandy have three grown-up daughters and have, for many years, lived on a lifestyle block in Drury.